A national survey says 79% of the Venezuelan population want the government and opposition to resume peace talks, with the Pope as mediator. June 3 (teleSUR) Nearly 80 percent of the Venezuelan population wants a return to peace talks between the government and opposition. According to the Hinterlaces, a Venezuelan polling company, 79 percent of the 1,580 people questioned, 79 percent of them think the peace talks called by President Nicolas Maduro are importantfor the nation’s economy and overall stability. Incumbent Maduro handily returned as head of state by taking 67.7 percent of the popular vote on May 20. Seventy-nine of those asked said ‘yes’, while 19 percent said ‘no’ to the proposal. Nearly the same percentage – 75 to 21 – said they wanted to see the talks mediated by an international representative. The previous talks, which ended last February with the opposition refusing to sign the agreement they had worked on for months with the government, if not years, was mediated by current and former leaders of Spain and the Dominican Republic, where the talks took place. Over 80 percent of those surveyed said Pope Francis should be the lead mediator. Over the weekend, the administration released a second group of opposition activists who were awaiting trial in connection with violent protests that killed nearly 200 people between 2014 and 2017. Their release was a concession the opposition wanted to be met as part of the dissolved talks it leaders stepped away from. 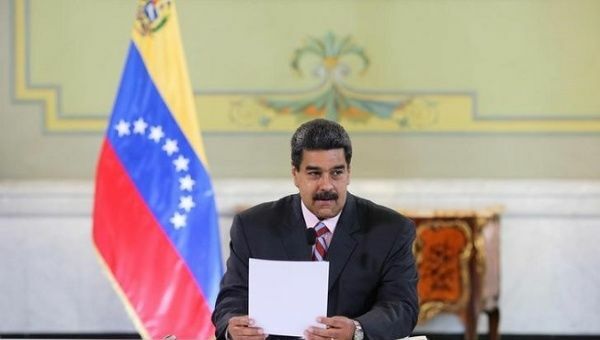 The Venezuelan government announced this week that the second round of talks will begin this week this time with community leaders, workers, rural farmers, academics, youth leaders and teachers with the intent to address the country’s economic model.